Ahlborn-Rizzuto Ursula. 1990 Im Labyrinth der Zeichen. Europäische Hochschulschriften. Series IX, Vol. 18, Frankfurt|M, Bern, New York: Peter Lang Verlag. Ajello, Nello 1974 Lo scrittore e il potere. Bari: Laterza. Avirovic, L. & Dodds, J., eds. 1993 Umberto Eco, Claudio Magris. Autori e traduttori a confronto. Atti del Convegno internazionale, Trieste, 27-28 Novembre 1989. Udine: Campanotto. Bachorski, H. Jürgen., ed. 1985 Lektüren, Aufsätze, zu Umberto Eco "Der Name der Rose". Göppingen: Kümmerle. Bauco, L. & Millocca, F. 1989 Dizionario del 'Pendolo di Foucault'. Milano: Corbo (German tr., Das Geheimnis des Pendels-entschlüssen. München, 1990). Berger, Günter 1999 Annäerungen an die Insel. Lektüren von Umberto Ecos “Die Insel des vorigen Tages”. Bielefeld, Aisthesis, 1999. Bobes Naves, M. et al. 1982 Umberto Eco. Special issue of Los Quadernos del Norte III, 14. 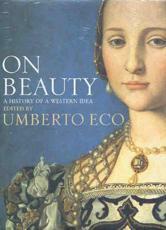 Bondanella, Peter 1997 Umberto Eco and the open text. Semiotics, fiction, popular culture. Cambridge: Cambridge U.P. g) Polish tr. Krakow: Wydawnictwo Znak, 1997. Bouchard, N. and Pravadelli, V., eds 1998 Umberto Eco’s Alternative. The Politics of Culture and the Ambiguities of Interpretation: New: York: Peter Lang. Bremer, Thomas. and Heydenreich, Titus, eds. 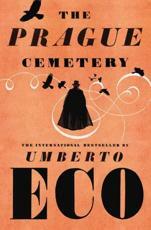 2002 Siebzig Jahre Umberto Eco. Special issue of Zibaldone 33. Brochier, Jean-Jacques, ed. 1989 Umberto Eco. Du semiologue au romancier. Special issue of Magazine Littéraire 262, février, 1989. Burkhardt, A.& Rohse, E., eds. 1991 Umberto Eco. Zwischen Literatur und Semiotik. Braunschweig: Ars et Scientia. Cadeddu, Joseph 1997 La Bustina di Minerva (1985-1994) d’Umberto Eco. Université de Nanterre, Centre de Recherches Italiennes, 11/12, Mai 1997. Caesar Michael 1999 Umberto Eco. Philosophy, Semiotics and the Work of Fiction. Cambridge: Polity Press. Calabrese, Omar 1987 L'età neobarocca. Bari: Laterza (English tr. Neo-Baroque - A Sign of the Times. Princeton: Princeton U.P., 1992). Calvo Montoro, M.J. and Capozzi R., eds. 1999 Relaciones literaria entre Jorge Luis Borges y Umberto Eco. Cuenca: Ediciones de la Universidad de Castilla-La Mancha and University of Toronto. Cannon, JoAnn. 1989 Postmodern Italian Fiction. The Crisis of Reason in Calvino, Eco, Sciascia, Malerba. Rutheford: Farleigh Dickinson University Press. London and Toronto: Associated University Press. Capozzi, Rocco, ed. 1997 Reading Eco. An Anthology. Bloomington: Indiana U.P. Chiritescu, Florin, et al. 1983 Umberto Eco. Nimele Rozei. Special issue of Secolul 20. Revista de Sinteza 272-274. Coletti, Theresa. 1988 Naming the rose. Eco, medieval signs and modern theory. Ithaca: Cornell U.P. Conradie C.J., ed. 1988 Die Naam van die Roos. Special issue of Middeleeuse Studies-Medieval Studies 1988. Publikasiereeks van die Randes Afrikanse Universiteit. Cotroneo, Roberto. 1995 La diffidenza come sistema. Saggio sulla narrativa di Umberto Eco. Milano: Anabasi (Enlarged edition Eco: due o tre cose che so di lui. Milano: Bompiani, 2001). Darmon,J.-C. and Morello, A.-A:, eds., 1999 Umberto Eco, Special issue of Dix-neuf / Vingt, 7, mars. De Lauretis, Teresa. 1981 Umberto Eco. Firenze: La Nuova Italia (Collana Il Castoro). Ekblad, Sven. 1994 Studi sui sottofondi strutturali nel 'Nome della rosa' di Umberto Eco. Parte I. 'La divina commedia' di Dante. Lund: Lund University Press. Engemann, W. & Volp, R., eds. 1992 Gib mir ein Zeichen. Zur Bedeutung der Semiotik für theologische Praxis-und Denkmodelle. Berlin: De Gruyter. Eriksson, Birgit 1995 Umberto Eco. Copenhagen:Rhodos. Fabbrichesi Leo, Rossella 1983 La polemica sull'iconismo. Napoli: Edizioni Scientifiche Italiane. Fleissner, Robert F. 1989. A rose by any other name. A survey of literary flora from Shakespeare to Eco.West Cornwall, CT: Locust Hill Press. Fraga de Azevedo, Fernando J. 1995 A teoria da cooperação interpretativa de Umberto Eco. Porto: Porto Editora. Fulga, Daniela 1997 Zămbetul ă ngerului. De la teoria semiotica ă la roman: Umberto Eco. Cluj-Napoca: Clusium, 1997. Frandsen, Finn 2000 Umberto Eco og semiotikken. Aarhus: Universitetsforlag. Ganeri, Margherita. 1991 Il "caso" Eco. Palermo. Palumbo. Giovannoli, Renato, ed. 1985 Saggi su Il Nome della Rosa. Milano: Bompiani (Spanish tr., Ensayos sobre El Nombre de la Rosa, Barcelona, Lumen, 1987). Gracia, Jorge et al. 2002 Literary Philosophers: Borges, Calvino, Eco. London: Routledge. Gritti, Jules. 1991 Umberto Eco. Paris: Editions Universitaires. Guglielmi, Nilda. 1988 El Eco de la rosa y Borges. Buenos Aires: Editorial Universitaria..
Haft, A. J., White, J.G & R. J. 1987 The Key to The Name of the Rose. Harrington Park, N.J.: Ampersand. Harendarski, Ulf, & Gloy, Klaus 1996 Vom Zeichenlese. Eco sprachwissenshaftlich kommentiert. Aachen: ein-FACH-verlag. Haverkamp, A. & Heit, A., eds. 1987 Ecos Rosenroman. Ein Kolloquium. München: Deutscher Taschenbuch ..
Hernandez, Martin 1995. Readers and Labyrinths: Detective Fiction in Borges, Bustos Domecq and Eco. New York: Garland. Ickert, Klaus & Schik, Ursula. 1986 Das Geheimnis der Rose entschlüsselt. München: Hayne ((Italian tr., Il segreto della rosa decifrato, Milano, Salani, 1987: Japanese tr. 1990). Inge, M. Thomas, ed. 1988 Naming the rose. Essays on Eco's 'The name of the rose'. Jakson & London: University Press of Mississippi. Kerner, Max, ed. 1987 "... eine finstere und fast unglaubische Geschichte"? Mediävistiche Notizen zu U.Eco's Mönchsroman 'Der Name der Rose'. Darmstadt: Wissenschaftliche Buchgesellschaft. Kerner, Max & Wunsch, Beate 1996 Welt als Rätsel und Geheimnis? Studien und Materialien zu Umberto Ecos Foucaultschem Pendel. Frankfurt-Berlin: Peter Lang. Kindt, Tom and Müller Hans-Harald, eds. 2000 Ecos Echos. München : Fink. Kroeber Burkhart. 1987 Zeichen in Umberto Ecos Roman 'Der Name der Rose'. München: Hanser. Lanza, Giovanni 1998 “Pourrait être continué...” La poetica dell’opera aperta e Les Faux monnayeurs di André Gide. Frankfurt: Lang. Symposium at the University of Austin, Texas, september 1984 (Japanese tr. by Isamu Taniguchi, 1988). Magli, Patrizia,et al., eds., 1982 Semiotica: Storia Teoria Interpretazione. 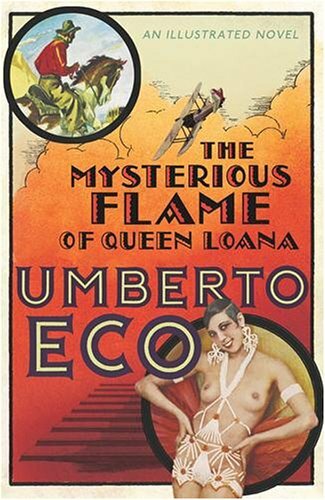 Saggi intorno a Umberto Eco. Maroevic, Tonko 1988 Umberto Eco. Eco-Efekt. Special issue of Republika (Zagreb) xliv, 9-10. Martin Hernandez, Jorge 1995 Readers and Labyrinths. Detective Fiction in Borges, Bustos Domeq, and Eco. Mersch, Dieter. 1993 Umberto Eco zur Einführung. Hamburg: Junius. Morawski, S. et al. 1994 Umberto Eco i etnologia... Special issue of Konteksty xlvii, 1-2, pp. 3-42. Moser, Manfred 1986 Musil, Canetti, Eco, Calvino. Die überholte Philosophie. Wien, 1986. Musarra, Franco et al. 2002 Eco in fabula. 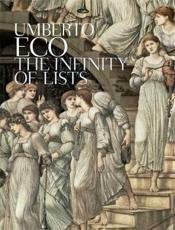 Umberto Eco in the Humanities. Umberto Eco dans les sciences humaines. Umberto Eco nelle scienze umane. Proceedings of the International Conference, Leuven, 24-27 febbraio 1999. Leuven: Leuven U.P. and Firenze: Franco Cesati Editore. Nanni, Luciano 1980 Per una nuova semiologia dell'arte. Milano: Garzanti. ousmanova, almira 2000 Ymberto Eko: paradokc’i interpretacii. Minsk: Propilen. Pancorbo, Luis. 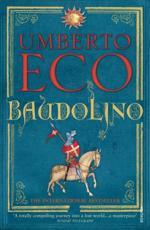 1977 Ecoloquio con Umberto Eco. Barcelona: Anagrama. Pansa, F. & Vinci, A. 1990 Effetto Eco. Roma: Nuova Edizione del Gallo. Petitot, J. & Fabbri, P., eds. 2000 Au nom du sens. Autour de l’œuvre d’Umberto Eco, Colloque de Cerisy 1996. Paris: Grasset (Italian tr. Nel nome del senso. Milano: Sansoni 2001). Pischedda, Bruno. 1994 Come leggere 'Il nome della rosa' di Umberto Eco. Milano: Mursia. Puletti, Ruggero 1995 Il nome della rosa. Struttura forme temi. Manduria-Bari-Roma: Piero Lacaita Editore. Radford, Gary P. 2003 On Eco. Wadsworth Philosophers Series. Sl: Thomson Wadsworth. Rodriguez Pequeño, Francisco 1994 Cómo leer a Umberto Eco. Madrid: Júcar. Schalk, Helge 2000 Umberto Eco und das Problem der Interpretation. Würzburg: Königshausen & Neumann. Schulze-Seehof, Dörte, 2001 Italienische Literatursemiotik. Von Avalle bis Eco. Tübingen: G. Narr Verlag. Sim, Stuart, ed. 1999 Critical Dictionary of Postmodern Thought. New York: Routledge. vorigen Tages". Darmstadt: Wissenschaftliche Buchgesellschaft. Sutic, Miloslav, ed 1989 Ekovo "Klatno". Knjizevna Kritika 2, mart-april, pp. 5-67. Talamo, Manlio. 1989 I segreti del Pendolo. Pompei: Simone (Japanese tr. 1990). Trabant, Jürgen, ed. 1999 Umberto Eco, die Freie Universität und das Schnabeltier. Berlin: Dahlem U.P. Trifonas, Peter Pericles 2001 Umberto Eco and Football. Duxford, Cambridge: Icon Books. semiotikata. Sofia: Nauka i izkustvo.